I am a firm believer that if you own a good collection of decent hosiery, your legs have nothing to worry about. I’m a huge dress and skirt fan, but obviously living in England means 99% of the time it’s freezing, and I can’t go anywhere without keeping my legs covered up in a pair of tights. You can’t go wrong with a few staple pairs of black tights, and recently I’ve added two new styles to my collection that I’m loving and want to share with you for some tights inspo! Sock Shop have brought along two new additions to my ‘tights drawer’ – yes I have a dedicated drawer for all my tights! The first pair are actually a style that can carry me right through to the Winter and would make a fab pair for the party season. But for now, I’m letting this glittering pair sparkle in the sun (when it decides to come…) These are the smooth, sheer 20 denier weave Falke Glimmer Shiny Lurex Sheer Tights, designed to will give legs a gorgeous lustre that twinkles with every step. 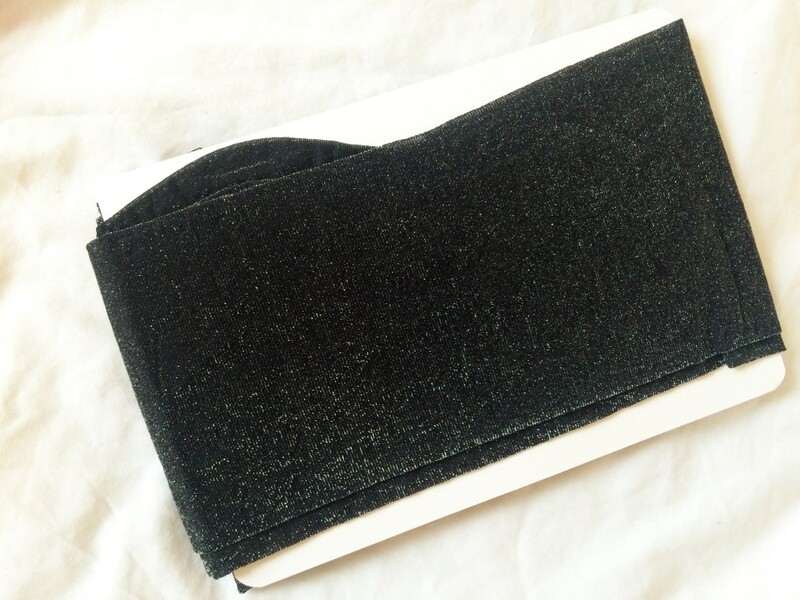 The material is very fine, yet smooth and silky to the touch, and gives off that hint of glitter and shine. 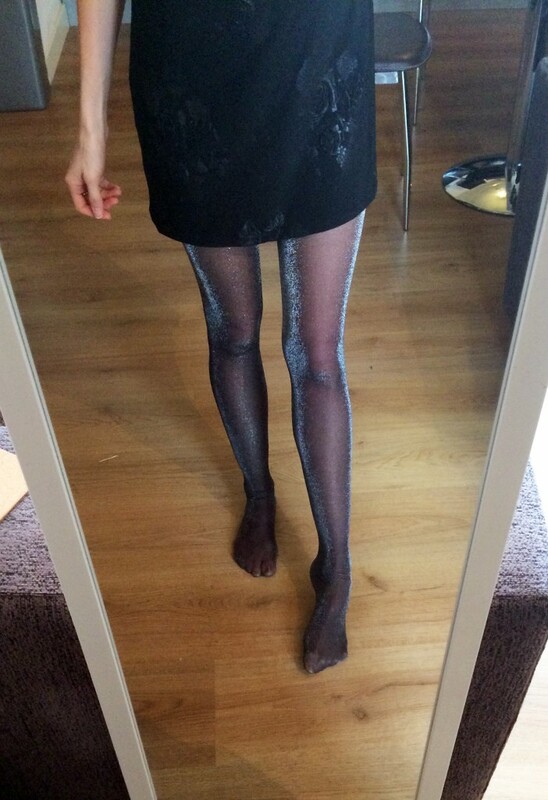 I can’t stop looking at the tights when I have them on – I feel like they make my legs look ‘precious’! How amazing is the shimmery silver gleam that comes off them? So pretty and not badly priced at £28, as they really make an outfit ‘pop’. I just team these with a little black dress, and my legs do all the talking! The second pair are a lot more subtle, and these are a pair I have been teaming up with my workwear for a more standard daytime look. The Pretty Polly Secretsocks Modal Sock Tights, £10.00, are a great all-rounder. They are designed to be worn with dresses and skirts which come above the knee, so that the mock-up pulled up sock look is on show, yet gets held up effectively due to it actually being a pair of tights! A cleverly combined sheer tight and sock will be a must have. I love the fact that the sock and the actual tights don’t look too drastic together, as it’s more of a softer overall look. I think it’s fair to say I feel pretty sorted with my hosiery range now for the rest of the year! The Sock Shop have literally spoilt me for choice – who knew tights could be so exciting? They both look fantastic! The glimmer are so gorgeous, bringing out the shiny design detail in your dress. The secret socks look neat. Knee highs that don’t fall down along with a smooth tint of color all the way up.